As lawyers, we may often take for granted the gift of literacy that we have all been given and encouraged to grow as we followed our individual paths into roles that are to help assist and foment societal progress for not only the presiding generations, but for those to come. This notion is something that we are all aware of, but in today’s busy and continuously increasing connected world, we are likely to simply not take or have the time to continue to better these necessary skills. Whether it’s for ourselves or our youth, reading is one of those things that can easily be put on the “to do” list but we never actually get around to doing. 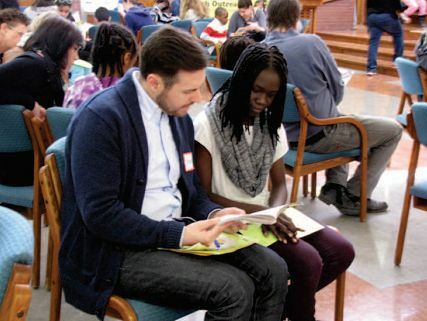 The Law Society of Manitoba recognizes this and, because of the intensive reading that lawyers must undertake in their daily lives, has developed and grown its own “Lawyers for Literacy” program, which ran for its fifth installment this past March. Although our offices represent primarily the whole of South-Eastern Manitoba, we here at Smith Neufeld Jodoin LLP see reading as something that is not geographically defined but rather universally needed and recognized as an indispensable tool that grows families, communities and businesses. Thus, we were pleased to have had the opportunity to take part in this event, a program organized in conjunction with the West Broadway Youth Outreach program, for those youth deemed to be at risk in the Winnipeg area. It was a rewarding afternoon where representatives from various Manitoba Law Firms had the chance to meet many young people and spend some time reading with them or being read to. What’s likely to have crossed the minds of all those who attended was realizing or remembering the advantages that can be gained by becoming a strong reader at a young age; be it achieving more in school, helping out other members of our communities, or even starting our own businesses, reading is something that becomes easier the more we do it, but whose benefits do not decrease with exposure to it. As many new Canadians and their families set their roots in South-Eastern Manitoba, the importance of strong reading and verbal skills in both of Canada’s official languages will help new-comers to feel at home and also build stronger minds and communities. Any opportunity we here at SNJ have to play a part in that development is a sure fire way in our knowing that we are taking the right steps in fulfilling our public duties as lawyers. We hope by exposing you to this event, we’ll open your minds to reading in your own lives and those of your loved ones. Bettering these skills doesn’t mean dusting off one of the thousand page classics or even trying to become better at reading itself, all you have to do is read something; whether it’s comic books, a magazine, the news, or even a little guilty-pleasure gossip, it’s all the same – and that’s a little mental exercise. Our brains are amazing muscles that will grow the more we feed them, just like all of our other ones, except you won’t see the results, you’ll feel them; and what a great feeling it is, indeed! Even reading this right now, you’ve just fed your brain! Keep feeding your brain and it’ll become increasingly trained and never drained! It’s that simple. If you hadn’t thought about reading lately, hopefully now you have. Just like the kids we read with made us realize, when you pay forward something that truly is a gift unto us all, that gift will continue to pay itself forward each time someone new is exposed to it again and again.